This project brings the long-awaited replacement of Oregon’s 127-year-old State Hospital in Salem. New construction includes a three-story, structural steel building to house patient housing, staff offices, treatment rooms and recreation areas. The historic “J” building (Kirkbride) will be partially demolished, with some parts being restored. 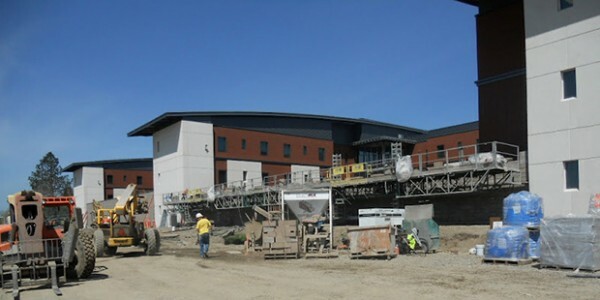 Once complete, the hospital will house 620 beds within 800,000 sq ft.
Carlson’s client on this project was CH2M Hill. Contacts at CH2M Hill are Mr. Dan Dowell, PE and Ron Monteferrante. The general contractor was Hoffman Construction and Mike Erdman was the project superintendent. The project design team included: KPFF Structural Engineers and PBS Environmental. 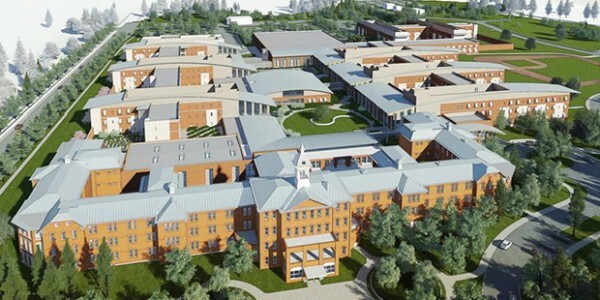 Based on our superior performance on the Oregon State Hospital project in Salem, Oregon, Carlson was awarded Phase II of this project in Junction City, Oregon. The Junction City project consisted of a new concrete tilt-up building with a capacity of 110 beds.